Becky's Hope experience began when she was a year old. Her parents moved to Holland so her father could attend seminary and they became head residents in Emersonian and Gilmore Halls. She bleeds orange and blue! 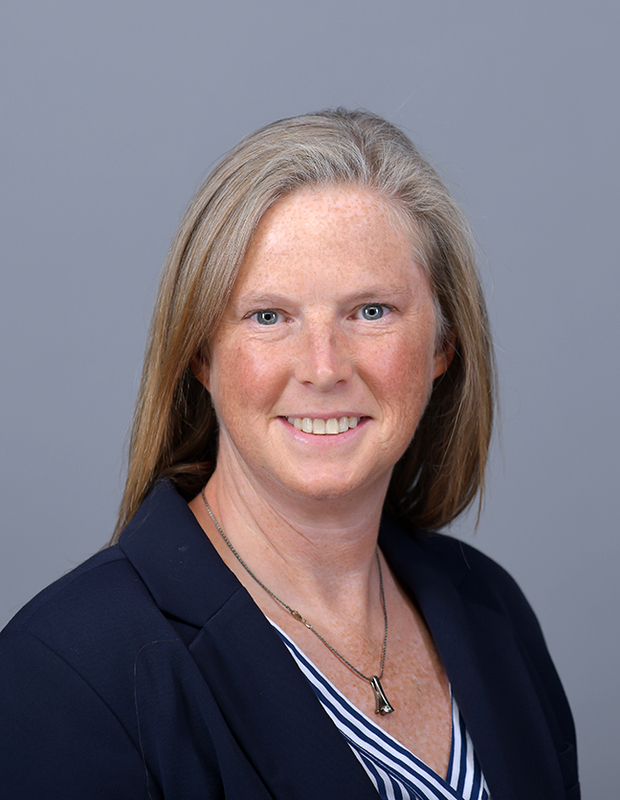 After she graduated from Hope in 1999, completed a master's degree in sport studies from Miami University, and taught and coached in Southern California for three years, she had the opportunity to return to Hope as faculty for the Department of Kinesiology and as the head volleyball coach. In her time at Hope she has had the opportunity to bring her volleyball team to Brazil, serve on the Board of Directors for the American Volleyball Coaches Association (AVCA), bring Hope students to the Olympic Training Center in Colorado Springs, publish a book and win a national championship. She's had some amazing experiences, but what makes Becky most proud is the opportunity to give back to the school that had such a profound impact on her. Becky's academic interests are focused in the field of sport psychology, specifically in group process and socio-psychological influences on performance. She also teaches a senior seminar that challenges students to develop human-centered design skills for a Kingdom-centered impact. Becky is a member of Hope Reformed Church. She and her husband, Dave, have a son named Cooper.